i want to unlock my palm treo pro mobile phone lock.please anybody give me advice about this problem. i have one of these but its a CDMA phone. 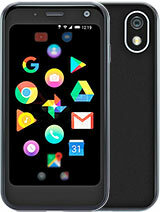 Buy from palm from ebay. ghyzoo , 29 Jun 2013where can get the battery&charger of palm treo procharger is standard microUSB, found pretty much everywhere. D Pledge, 28 Dec 2012Does treo pro support viber and Whatsapp pls help me nowWindows Mobile 6.1 or 6.5 no have a viber or whatsapps app..
Where is the voice command on this phone i bought one but im not seeing the voice command function.